Android is a huge name in this industry. In short time it had 90 percent share of market.This is thanks to Samsung, especially to the Galaxy phones and tablets lineups, which became so popular in the world noawadays. 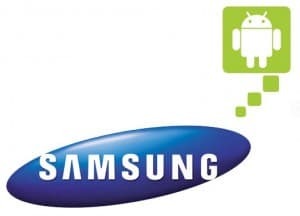 It seems that Samsung missed it’s chance to buy Android some years ago. Andy Rubin and his partners launched Android on the market. Some time ago, Rubin went to Samsung for money to develop his OS, but Samsung refused them. After that, the small company was bought by Google. It seems that at the meeting, Samsung’s officials weren’t impressed by Rubin and his small team and didn’t give them any money. At that time, Samsung was using Symbian from Nokia and were investing heavily in it. Looking in our days, it seems that was a terrible mistake form Samsung. What would have happen if the biggest OS on the market was in the hands of the biggest manufacturer? Samsung tried along the years different OSs, like Bada their first OS, which was a failure. Now, they are working with Intel at Tizen, which isn’t seen good by carriers also. Maybe this is the best variant for all of them. Android is number one OS in the world and Samsung is number one smartphone and tablet manufacturer. What a duo !